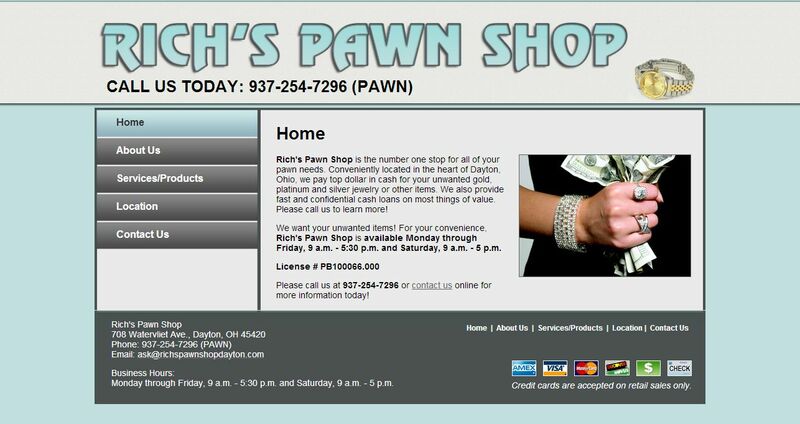 Rich’s Pawn Shop address, phone, website, hours of operation, and more. Rich’s Pawn Shop is the number one stop for all of your pawn needs. Conveniently located in the heart of Dayton, Ohio, we pay top dollar in cash for your unwanted gold, platinum and silver jewelry or other items. We also provide fast and confidential cash loans on most things of value. 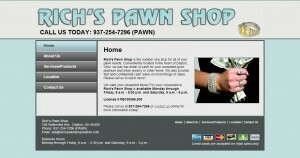 Rich’s Pawn Shop is licensed to provide collateral loans and buy your unwanted items. Our process is simple: all you need is a state issued ID and your unwanted items, and within minutes, you’ll have cash! We pay top dollar, and we guarantee you won’t find better service elsewhere.